Yesterday I mentioned how I was sad that summer was ending. And even though I will miss the long days, summer fun and most importantly summer food (wink. ); I am ready to get back to a somewhat “normal” schedule and routine. One thing that seriously lacked in my summer, was meal/recipe planning and regular shopping trips. I mean, I did make regular (aka daily) trips to the grocery store to get food, but that was because I was not meal planning and organized. But boy, does it feel great to get back to planning and being organized! Not only is this saving me time and money, but I actually have food in the house! LOL! I know the school year is a familiar yet busy time of year for most. This time of year, while I thrive on the day to day schedule and routine, is busy for me as well. When planning out my meals and recipes for the week, I look for things that can easily be whipped up on busy day. Many of these ‘quick and easy’ recipes are family favorites and ‘go-to’ staples. Other days, I gather inspiration from the grocery store and our current cravings. This comes from what is on sale that week and possibly from new products and ideas discovered at in store demos. Um… yeah, tell me I am not the only one who has eaten ‘lunch’ at Sam’s Club from just eating demo samples! 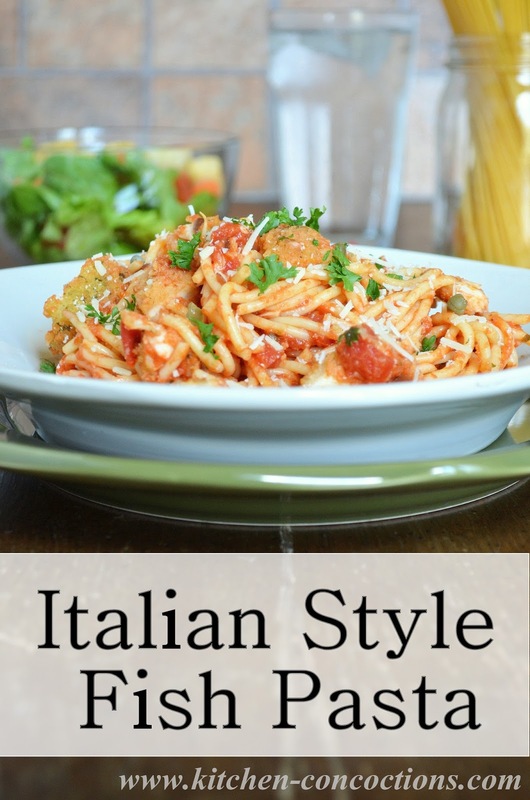 This Italian Style Fish Pasta Recipe (inspired by a Sam’s Club demo) is truly a 30 minute, $10 dollar dinner; making it perfect for busy week days! Simple homemade marinara sauce (using pantry staples) and Parmesan encrusted tilapia comes together in a quick, fuss free version of an Italian classic. Place frozen tilapia fillets on baking sheet and bake in preheated oven for 18-20 minutes, or until cooked through and fish flakes easily with a fork. Meanwhile, heat butter in a large sauce pan over medium heat. Add onions and cook for 2-3 minutes or until translucent. Add garlic and cook 1 minute more. Stir in tomato paste and cook for 2-3 minutes. Stir in tomato sauce, diced tomatoes, Italian seasoning, sugar, capers, salt and pepper. Reduce heat to low and simmer for 10-15 minutes. Taste and adjust seasonings if necessary. While sauce is simmering, bring a large pot of salted water to a boil. 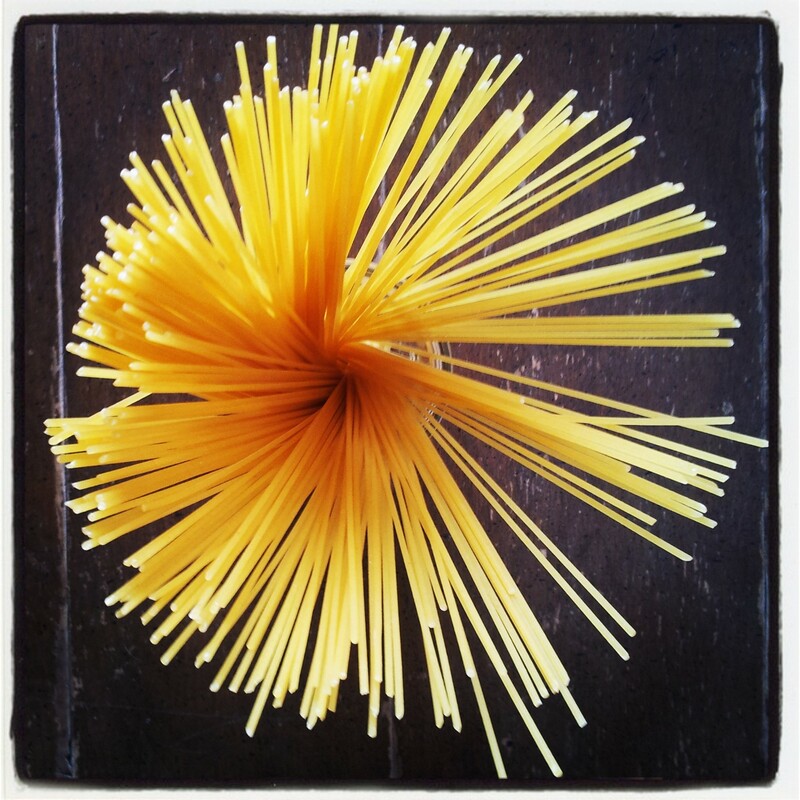 Add spaghetti to boiling water and boil for 10-12 minutes. Once tilapia is cooked, cut into bite size pieces. 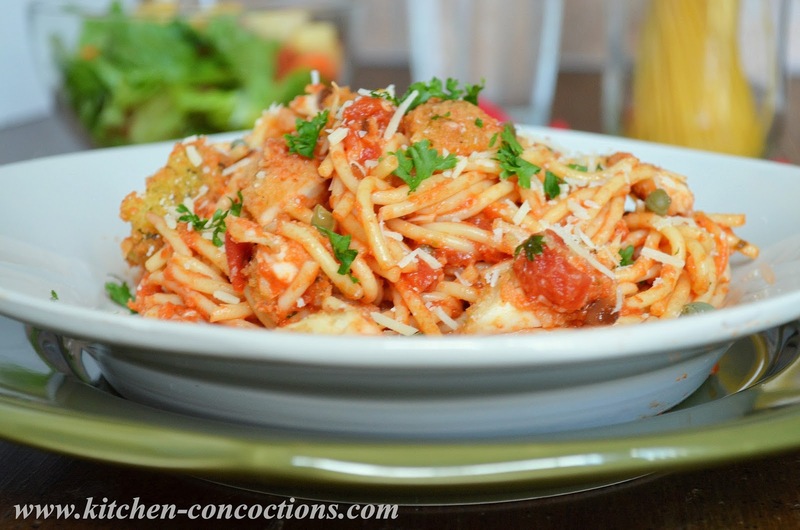 To serve, toss together cooked spaghetti, diced tilapia and prepared sauce. 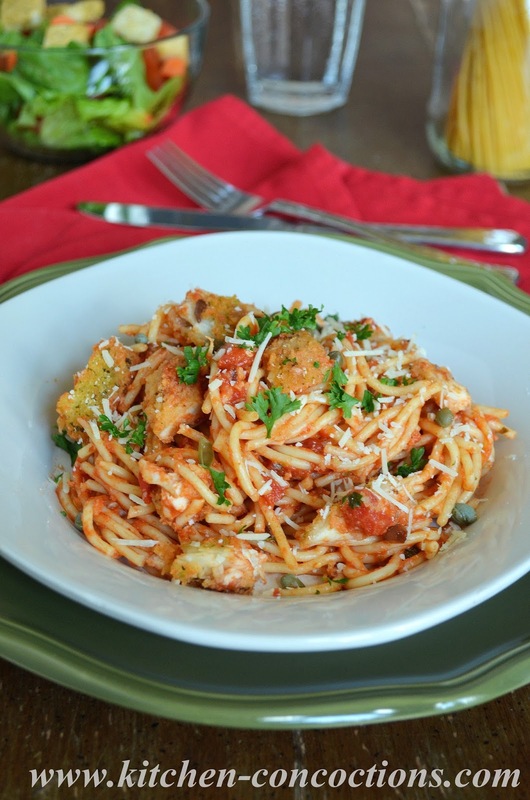 Serve immediately topped with fresh Parmesan cheese and fresh parsley if desired. Disclosure: I am a member of the Collective Bias® Social Fabric® Community. This shop has been compensated as part of a social shopper insights study for Collective Bias and their client. All thoughts and opinions are my own. That looks delicious – and easy. A great combination! I've snacked so much during the demos at Sam's I didn't need to buy lunch! You are not alone.